Welcome to our BEGINNER'S GUIDE TO SPAGHETTI WESTERN. Start reading here if you are new to the genre and find yourself confused by the sheer overwhelming number of films. Let us introduce you to the idea and recommend a number of introductory films to watch. The Spaghetti Western is a sub-genre of the Western. It got its name from the fact that they were mostly produced or shot in Italy (in fact most of them partially in Spain, too). 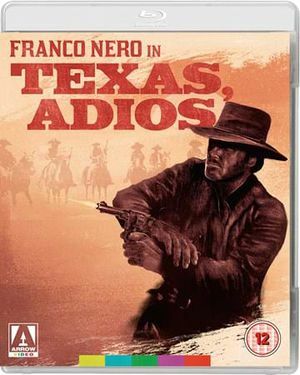 The genre was born in the 1960s when ambitious Italian directors tried to copy or imitate American western films. Some films became so successful that hundreds of others were made either to ride on the success of them or copy them. And so, the Spaghetti Western prospered until the mid- to late- 1970s. Other terms used: Euro-Western (including westerns from Germany, Spain, Greece etc), Italowestern (a term mostly used in Germany), Macaroni Western (used in Japan) and Western All'Italiana (by the Italians). Spaghetti Westerns all share some common stylistic features. They usually look grittier than their American counterparts, they don't look as glorious and "clean". The subject matters are usually revenge, bounty hunting, or gang crime. Spaghetti Westerns usually can look from pretty cheap to extraordinarily high-budget, although the budget of Italian westerns were usually extremely low, that's why directors tried to exploit as much as possible, including interiors, stylistic filming devices (close-ups, cuts, etc.) or beautiful landscapes such as the sierras at Almería, Spain. The Music in most Spaghetti Western is also different. Especially Ennio Morricone started introducing new instruments to the soundtrack, such as the electric guitar. Spaghetti Western soundtracks can be quite psychedelic, of epic sound or on the other hand, totally like an American western. What should I watch first? 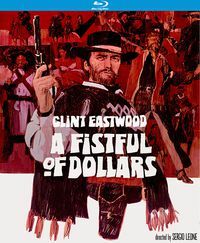 A Fistful of Dollars: Sergio Leone's breakthrough film starring Clint Eastwood is said to be the birth point of all Spaghetti Western. Also watch For a Few Dollars more, the sequel. 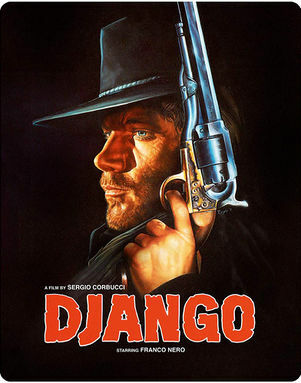 Django: Sergio Corbucci's cult classic spawned several hundred other films with the word Django in the title. 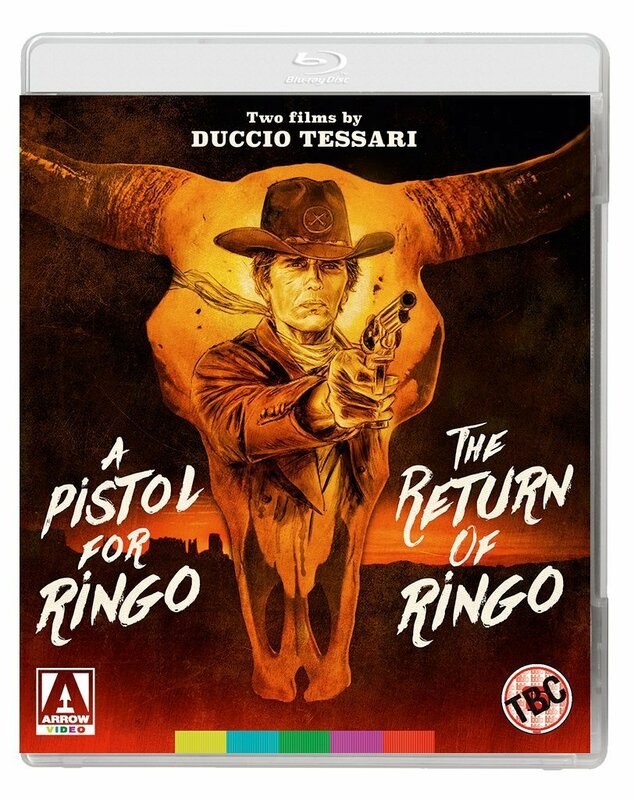 Should serve as a starting point for watching more films with Franco Nero. The film pushed the violence in the genre. Once Upon a Time in the West: Sergio Leone's most American western is a great epic and stars Henry Fonda and Charles Bronson. The soundtrack is world famous. The Good, The Bad and the Ugly: This over 3 hours long epic also by Sergio Leone is one of the most breathtaking Spaghetti Westerns ever made, and considered to be the greatest ever. 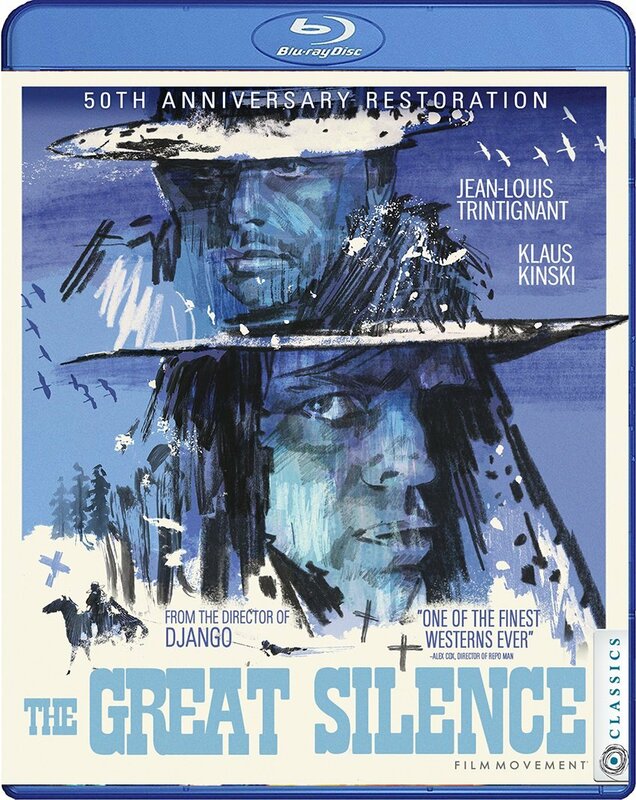 The Great Silence: Sergio Corbucci reinvented the genre by making a Spaghetti Western that takes place in the snow and stars the eccentric German actor Klaus Kinski. God forgives, I don't: The first film with Terence Hill and Bud Spencer. Run, man, run: Sergio Sollima's great tale of Cuchillo the bandit. 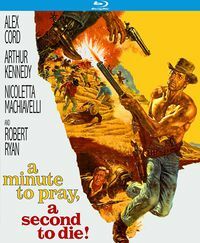 This is a possible starting point for watching more Spaghetti Westerns with Tomas Milian. Click here to check out some books about Spaghetti Westerns. Did you find this introduction helpful? Leave your comments! Check out our Essential Top 20 Films or our Staff favorites for some inspiration. Welcome to our BEGINNER'S GUIDE TO THE SPAGHETTI WESTERN. Start reading here if you are new to the genre and find yourself confused by the sheer overwhelming number of films. It’s often thought that the genre arose in response to the enormous success of Sergio Leone’s A Fistful of Dollars (1964), an adaptation of a Japanese movie called Yojimbo (Akira Kurosawa, 1961). In fact several Italian westerns had been produced previously, like Buffalo Bill, l'eroe del far west or Duello Nel Texas (both in 1963). Moreover the Spanish Zorro movies and the successful German-Yugoslavian Karl May adaptations had created a cultural context for a large scale European western production. Ironically the first European western that had the right ingredients to be called a ‘spaghetti western’, was made without Italian input, being a British-Spanish coproduction: The Savage Guns (Michael Carreras, 1962). But it sure was Sergio Leone who defined the look and attitude of the genre, with his first western and the two that soon were to follow:For a Few Dollars more (1965) and The Good, the Bad and the Ugly (1966). Together these films are called ‘The Dollars Trilogy’. Leone’s West was a dusty wasteland of whitewashed villages, howling winds, scraggy dogs wandering through spooky ghost towns, of cynical heroes, as unshaven as the villains, and Clint Eastwood wearing a poncho and chewing on the stub of a cigar. All three films were scored by Ennio Morricone, and his scores were as unusual as Leone’s visuals: not only did he use instruments like the trumpet, the harp or the electric guitar, he also added whistle, cracking whips and gunshots to the concoction, described by a critic as a ‘rattlesnake in a drumkit’. In general spaghetti westerns are more action oriented than their American counterparts. Dialogue is sparse and some critics have pointed out that they are constructed as operas, using the music as an illustrative ingredient of the narrative. From a long time past westerns had been called ‘horse operas’, but like professor of cultural studies Christopher Frayling pointed out, it took the Italians to show what the term really meant. 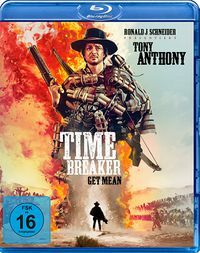 For the time of making many spaghetti westerns were quite violent, and several of them met with censorship problems, but it was more the cynical atmosphere and the intense style of film making that alarmed censors than any possible graphic nature of the violence shown. Spaghetti westerns were not very gory, squibs – those things that produce the effect of squirting blood – were used only occasionally. Many spaghetti westerns have an American-Mexican border setting and feature loud and sadistic Mexican bandits. The Civil War and its aftermath is a recurrent background. Instead of regular names such as Will Kane or Ethan Edwards, the heroes often have bizarre names like Ringo, Sartana, Sabata, Johnny Oro, Arizona Colt or Django. The genre is unmistakably a catholic genre (some other names in use are Hallelujah, Cemetery, Trinity or Holy Water Joe! ), with a visual style strongly influenced by the catholic iconography of, for instance, the crucifixion, the last supper or the ecce homo. The surreal extravanganza Django Kill! (Se sei vivo, spara, 1967), by Giulio Questi, a former assistant of Fellini (!) has a resurrected hero who witnesses a reflection of Judgment Day in a dusty western town. The outdoor scenes of many spaghetti westerns, especially those with a relatively higher budget, were shot in the Spanish province of Andalusia, in particular the Tabernas desert of Almeria. In Italy the province of Lazio (the surroundings of Rome) was a favourite location. Some spaghetti westerns were shot in the Alpes, North Africa or Israel. The indoor scenes were usually shot in the western towns of the Roman studios like Cinecittà or Elios. The Elios studios also had a ‘Mexican town’ next to the western town. In this rather brief period most of the films that have become classics were made. In 1966 Leone made The Good, the Bad and the Ugly, now considered by many to be the best western (not only spaghetti western) ever made, while his crown prince, Sergio Corbucci (often called ‘the other Sergio’) made the ground-breaking Django, that became the prototype of the vengeance tale, and spawned numerous films with ‘Django’ in its title. In 1968 these two directors brought the genre two more indisputable masterpieces: Leone made the legendry Once upon a Time in the West, the first spaghetti western to attract the attention of so-called ‘serious’ critics, and Corbucci made the devastating The Great Silence, that was entirely set in the snow and subverted virtually all genre conventions, among them the often heard cliché that in a western the good guy always wins. Another director from the golden period of the genre, is Sergio Sollima (‘the third Sergio’), the most intellectual and politically committed of all spaghetti western directors. His The Big Gundown (La Resa dei Conti, 1966), with Lee van Cleef, who had also appeared in two of the three Dollar movies, is a tale about class struggle as well as a deconstruction of the mythology of the law-upholding gunslinger. Face to face (1967) is the story of a New England college professor, who travels down south and discovers his violent instincts when he’s held hostage by a bandit. The professor is played by Gian Maria Volonté, another Leone veteran, who also appeared in A Bullet for the General (Quién sabe? 1966, Damiano Damiani), that set the tone for a series of political westerns set in Mexico during of the several Mexican revolutions, the so-called ‘Zapata westerns’ (occasionally called ‘Tortilla westerns’). The bandit (in Face to Face) is played by Cuban-American actor Tomas Milian, who would appear in many Zapata westerns as a Mexican farmer turned revolutionary. Set in Mexico, and filmed in a baroque western style, the Zapata westerns nevertheless seemed more concerned with European than American (North or Latin) politics. In the sixties Marxist ideas were wide-spread among European intellectuals, especially in the Mediterranean countries, and the Zapata westerns seem to reflect the revolutionary ideas that lived among them. 1969 showed a decline in the number of westerns produced, and a tendency to parody the genre, already announced in the previous years, became more apparent, especially in the Sartana movies, often called the answer of the spaghetti western to the Bond movies. In 1970 Enzo Barboni, who had been Corbucci’s cinematographer for Django, made They call me Trinity. What had been parody had now become slapstick and the film became a smash hit all over the world. It also marked the start of a new golden period, if not for the spaghetti western, then at least for the Italian film industry. Numerous comedy westerns were produced and the actors Terence Hill and Bud Spencer both became international stars. In general fans of the spaghetti western genre are not so fond of these comedies, but the Trinity movies are good fun and the second one, Trinity is still my name was the most successful Italian western ever upon its initial release. Although dominated by the comedy westerns, a few serious westerns were made in the first half of the seventies. Both Corbucci (Vamos a matar, compañeros) and Leone (Duck you Sucker!) made a Zapata western. My Name is Nobody, directed by Tonino Valerii (supervised by Leone), is a serio-comical reverie about the end of the West. Some films were of fuse of spaghetti western elements and Hong Kong martial arts movies, with usually an eastern fighting star dropped in the Far West, but none of these films became a real classic. When it all seemed over, the genre had its last upswing with the so-called Twilight Spaghettis, dead-serious, very stylish and melancholic westerns, glorifying (and mourning) both the end of the genre as well as the decay of the Italian industry of genre movies. 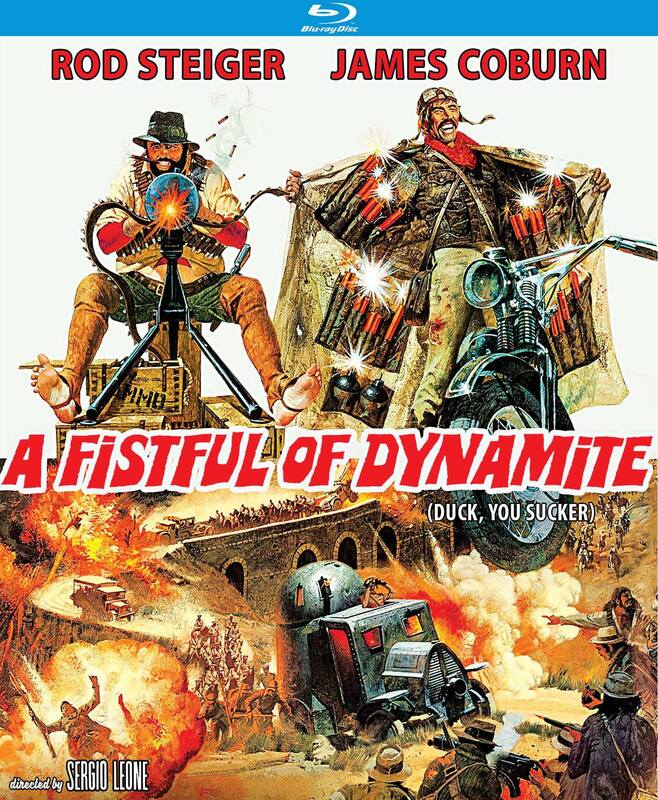 The films were partly shot in the – by then ramshackle - western towns of the Roman studios that had produced dozens of westerns each year in the previous decade. Two of the best twilight spaghettis are Michele Lupo’s California, with Giuliano Gemma, one of Italy’s first and biggest stars of the genre, and Keoma, made by the prolific director Enzo G. Castellari, and starring Franco Nero, who had played Django one decade earlier. A new generation of film makers, represented by the likes of Quentin Tarantino and Roberto Rodriguez have rediscovered and embraced the genre, introducing story elements in their own film scripts and developing a visual style that was influenced by the Italians maestros from the sixties. At the same time veteran film makers like Martin Scorsese, Steven Spielberg and of course Clint Eastwood have confirmed their great admiration for Sergio Leone, who is now universally recognized as one of the greatest film makers who ever lived. The introduction of the DVD has meant a lot for the genre too. For the first time new generations could see those films in their full widescreen beauty, and although there still are things to desire, the most important films are now available on DVD. This page was last modified on 10 March 2009, at 12:39.